In a federal court filing Thursday, a St. Albans fuel company accused Sen. Bernie Sanders (I-Vt.) of using his government office to exact legal retribution against it for political purposes. The company, R.L. Vallee, alleged that Sanders and his Vermont spokesman, Daniel McLean, sought to gin up a state prosecution and a class-action lawsuit after the company's CEO, Rodolphe "Skip" Vallee, produced a television advertisement attacking Sanders and his family. A week after Vallee released the ad in September 2014, according to documents and testimony obtained by the company's lawyers, Sanders and McLean met with two members of the Vermont Attorney General's Office to discuss the senator's suspicion that the company engaged in anticompetitive practices. According to handwritten notes taken at the meeting by Assistant Attorney General Ryan Kriger, either Sanders or McLean suggested that the AG should "Bring [a] case just to make a point." McLean emailed Kriger several times in the coming weeks to ask whether Attorney General Bill Sorrell would take action. In the end, he did not. In the following months, McLean regularly corresponded — sometimes using his personal email account — with attorneys from two firms interested in bringing a class-action lawsuit against R.L. Vallee, the documents show. McLean offered to provide the attorneys with data that Sanders' office had obtained pertaining to gas prices in northwestern Vermont. In June 2015, the two firms filed a $100 million class-action lawsuit against R.L. Vallee and three other companies accusing them of price-fixing. R.L. 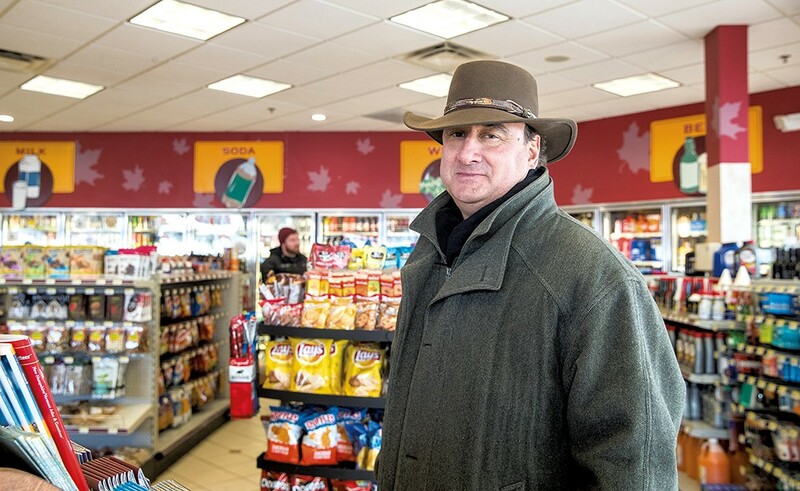 Vallee owns more than 45 gas stations in Vermont and neighboring states, mostly under the Maplefields brand. Skip Vallee is a prominent Republican donor who served as ambassador to Slovakia during president George W. Bush's administration. Thursday's filing was the latest volley in the more than three-year-old price-fixing case. Last month, R.L. Vallee subpoenaed McLean to sit for a deposition and turn over potentially thousands of documents. Sanders' office argued that the request was an over-broad "fishing expedition" and that Senate staffers could not be subpoenaed in their official capacities. In Thursday's filing, R.L. Vallee's lawyers wrote that it "strains credulity that Mr. McLean's official duties as a press aide for a United States Senator" include attempting to persuade the state attorney general to bring an enforcement action against a private company. "Far from being a 'fishing expedition', R.L. Vallee has demonstrated a sufficient need to discover the extent and motivation of Mr. McLean’s (and the Senator’s) repeated apparent efforts to bring price-fixing and other antitrust enforcement actions against R.L. Vallee over a period of years," the company's lawyers wrote. "The Civil Action may well have been brought forward based upon political considerations, rather than actual evidence of an anti-competitive conspiracy. This would clearly tend to exculpate R.L. Vallee." Joshua Miller-Lewis, a spokesperson for Sanders, said that neither the senator nor McLean would comment on the matter.